Shaking up an already fast-moving political landscape, Lt. Gov. Gavin Newsom revealed in an email to his list that he had taken the first step toward a run for governor in 2018. Framing his announcement as a characteristically Californian statement “without evasiveness or equivocation,” he explained he was creating the initial committee necessary to mustering resources for a run. 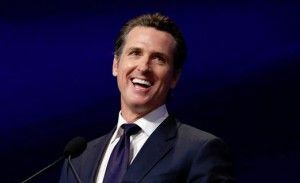 On the other hand, Newsom, like other Democrats victorious in their last election cycle, has maintained a sizable war chest — in Newsom’s case, around $3 million. Nevertheless, Newsom likely will be expected to come up with much more than that. In the meanwhile, attention has focused on the timing between Newsom’s announcement and Attorney General Kamala Harris’s announcement that she will run to replace retiring Barbara Boxer in the U.S. Senate. Now that both Harris and Newsom have formalized their plans, the pressure has ratcheted up on other ambitious Democrats, whose next steps are the subject of feverish speculation. Top Democrats in Los Angeles have been affected most by the Harris/Newsom split. As the Post reported, the two San Franciscans have long been “cognizant of the other’s ambitions and aware that running against each other could provide an opportunity for a rival from Los Angeles” — specifically, former Los Angeles Mayor Antonio Villaraigosa, who faces “renewed pressure” to choose which rival, if any, to challenge. In Washington, D.C., making the rounds on the occasion of accepting an award, Villaraigosa stayed mum on the Senate race, preferring to regale reporters with a campaign-like discussion of the importance of education. That in itself could reflect a greater interest in a gubernatorial run, however. Villaraigosa conspicuously supported the parents in the Vergara case, which challenged California’s teacher tenure system, claimed the existing system discriminates against minorities and the poor. And he endorsed Marshall Tuck, the reformer opposed by the teachers’ unions in November’s race for state superintendent of public instruction. By contrast, Harris filed the Vergara appeal in the case, defending the status quo, an action supported by Newsom. And Harris and Newsom endorsed Tuck’s opponent, union-backed incumbent Tom Torlakson, who won the race. What a shame that Ca. is a one party state. He doesn’t even list his political affiliation CALIFORNIA DESERVES MORE AND BETTER. Newsome is the perfect phony little Ken doll for California libbies. Right. A set of white capped teeth sitting atop an empty suit. And you think the Brown tard is bad? Hah, just wait until pretty boy or another of his ilk is governor and with a DemoNcrat legislature. You think taxes are high now? You think the nanny state is big now? You think the trough feeders are feasting now? Well, you ain’t seen nothin’, as they say. Newsom will make an excellent governor; Harris, an excellent senator. I agree if your definition of excellent is ever higher (and more) taxes. That’s what u doomers said about democrat Brown and he has been a budget balancing and slashing fiscal moderate— grow up chuckleheads– shuffle back to your cubicles….lmao! wow– I’m funny. So will you bet money that the next DemoNcrat governor and legislature will NOT raise taxes? Here you go clowning yourself with another inane, idiotic post. Did you remove your ‘if lost, please return to….’ hang tag off your neck again? They have been looking all over for you all over down at the home again. If you want lower taxes, you must move to a red state. Old sawhorse, where you been? Did you go visit a red state? Of course, the first thing on Gavin’s list of things to do on any issue will always include (1) raising taxes and (2) regulating. Bottom Line: We’ll move forward and do what we can to prevent this no-vision bureaucrat (and Kamala) from being nominated. He will be nominated! There is nothing you can do. Only thing doomers fear is fear itself! Why worry about the future of politican ‘s decisions.? Worry about your family and personal lot in life. Most of you petty pity coats need to smell the roses!